Neuroscientists in the Cortical Development Group are studying how cortical circuitry normally forms and functions and how disruption of genes associated with psychiatric disorders negatively impact this process. Schizophrenia and autism spectrum disorder are considered to be neurodevelopmental disorders. Recent advances in genomic sequencing have provided unique insights into genetic mutations and variants that are causal and/or increase psychiatric risk. Interestingly, many of these mutations reside within genes that are highly expressed during cortical development. Therefore, the goal of the Cortical Development Group is to understand causation and to identify pathophysiology associated with psychiatric disorders by studying the function of risk genes during cortical development. One major concentration of the Cortical Development Group is to focus on autism spectrum disorders that result from single gene mutations. The monogenic nature of these disorders simplifies the creation of cell and animal models because manipulating a single gene is relatively straightforward in the lab, can be applied to both in vitro and in vivo models, and enhances the face validity of the model. Using these model systems, the group studies cortical development and identifies phenotypes that result from the disorder-causing mutation. An ongoing project in the Cortical Development Group revolves around the Transcription Factor 4 (TCF4) gene. This pleiotropic gene is associated with schizophrenia through genome-wide association studies and autosomal dominant mutations within TCF4 leads to an autism spectrum disorder called Pitt-Hopkins Syndrome. Using both in utero cellular models and mouse models this research group has identified consistent electrophysiological phenotypes across these independent model systems and they have identified ways to rescue these phenotypes by targeting specific ion channels. Work is ongoing to determine if these ion channel targets are appropriate to target for therapeutic intervention. 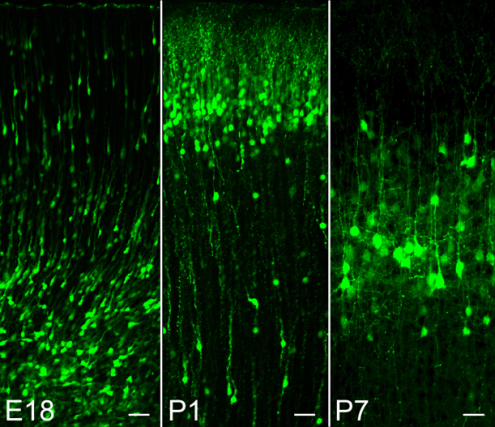 Left: Confocal images of cortical development in the rat frontal cortex at three developmental stages, embryonic day 18 (E18), postnatal day 1 (P1), and postnatal day 7 (P7). On E18, neuroprogenitor cells are dividing, giving rise to cortical neurons that are migrating to the cortical surface. On P1, cortical neurons have reached their final destination and are beginning to sprout dendrites. On P7, neurons are significantly larger and both axons and dendrites are formed. All images taken with the same magnification. 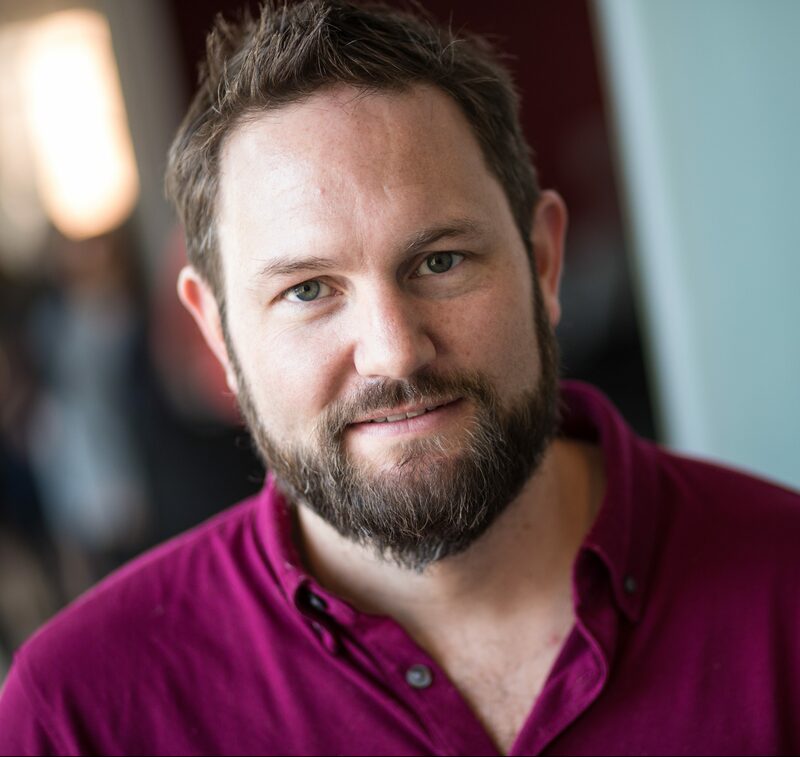 Dr. Brady Maher’s lab is interested in understanding the cellular and circuit pathophysiology that underlies neurodevelopmental and psychiatric disorders.